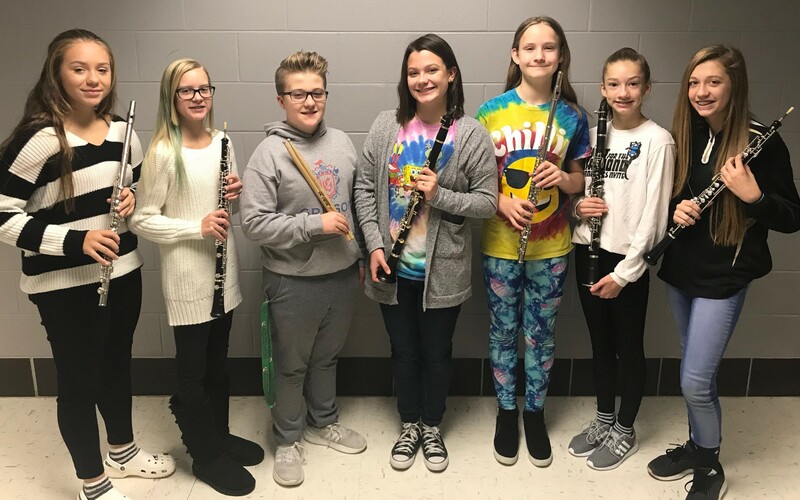 Congratulations are in order for seven of our band members, pictured and named above, after recently being selected to Purdue University Fort Wayne’s 2019 Middle School Three Rivers Honor Band. As part of the selection, honor band participants will spend three days at Purdue University Fort Wayne doing intensive rehearsals with nationally renowned faculty and conductors. The weekend culminates with an afternoon student performance on Saturday, January 26 at 1:30 p.m. The concert will take place at the Auer Performance Hall on the campus of Purdue University Fort Wayne. Admission is free to the public. Click here for more information on Three Rivers Honor Band.